While working as a receptionist at a college technology forum, Okabe meets the short, spunky Maho Hiyajo, who later turns out to be the interpreter at the forum's presentation, conducted by Professor Alexis Leskinen. In front of a stunned crowd, Alexis and Maho unveil Amadeus a revolutionary AI capable of storing a person's memories and creating a perfect simulation of that person complete with their personality and quirks. Meeting with Maho and Alexis after the presentation, Okabe learns that the two were Kurisu's colleagues in university, and that they have simulated her in Amadeus. Hired by Alexis to research the simulation's behavior, Okabe is given the chance to interact with the shadow of a long-lost dear friend. 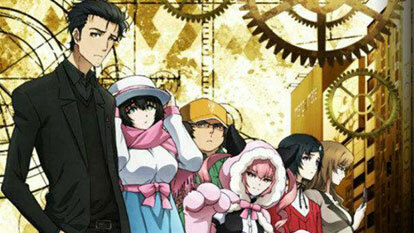 Dangerously tangled in the past, Okabe must face the harsh reality and carefully maneuver around the disastrous consequences that come with disturbing the natural flow of time.